Absolutely! You can cancel at any time without restrictions. To cancel your subscription, sign in to the Walmart eBooks site and click My Account. Then, select My Subscriptions, where you’ll be able to cancel. What happens to the audiobooks in my library if I cancel my subscription? Nothing! Once you’ve exchanged a credit for an audiobook, it belongs to you for good, even if you cancel your subscription. Once you cancel your audiobooks subscription, any unused credits will remain active for six months beginning from your cancellation date. This means you’ll have six months to exchange each credit for an audiobook from our catalogue. After six months, any remaining credits left in your account will expire. Can I get a refund for a credit? No, audiobook credits are non-refundable. If you cancel your subscription, you will have six months to use any remaining credits. Are audiobooks from Walmart eBooks available to customers everywhere? Currently, audiobooks from Walmart eBooks are available to customers living in the United States. What languages are audiobooks available in? We currently offer audiobooks in English. How large are audiobook files? The size of an audiobook file will depend on its length. On average, audiobook files are 28 MB per hour, and most audiobooks run for approximately 10 hours, or 280 MB. The longer your audiobook is, the larger the file will be. We recommend downloading your audiobook files over Wi-Fi to avoid incurring charges on your mobile data plan. What’s the difference between an abridged audiobook and an unabridged one? Abridged audiobooks are edited versions of the original text that make for a shorter listening experience. Unabridged audiobooks contain the full text, word for word, without any cuts. What is the file format of an audiobook? Audiobooks from Walmart eBooks are in MP3 or MP4 format. Does my audiobook come with an eBook version? Although most audiobooks in our catalog have an eBook equivalent, both versions are sold separately. Why are audiobooks priced more than eBooks? Although the text in both formats are often identical, audiobooks typically cost more than eBooks due to additional production costs. Please note that prices for audiobooks and eBooks are set by publishers, and not by Walmart eBooks. My audiobook refers to pictures or other additional content. Where do I find those? Supplemental materials for audiobooks are not available at this time. We’re working to add them as soon as possible. Why should I subscribe to audiobooks? An audiobook subscription offers tremendous savings towards your favorite type of storytelling. Exchanging credits will cost you less than audiobooks’ regular listed prices. The more credits you get with your subscription plan, the more you’ll save. With the Walmart eBooks App, you’ll have everything you need: one app for all for your stories, eBooks and audiobooks together. What’s the difference between buying an individual audiobook from the Walmart eBooks site and exchanging a credit for one as a subscriber? To put it simply, the difference is savings. Let's say you’re interested in an audiobook with a list price of $24.95. You can buy it from Walmart eBooks right away. But if you’re a subscriber, you can exchange your monthly credit worth $9.99 for the same book, for a savings of $14.96. Can I listen to more than one audiobook a month? Of course! If you’ve already exchanged a credit for an audiobook and finished listening to it, you can purchase three instant audiobook credits to top up your balance. You can also purchase the audiobook directly from our catalog. Am I eligible for the free 30-day trial? The free 30-day trial is contingent on your registration complete with payment and billing information, and your free audiobook is yours to keep, even if you cancel before the trial is complete. If you cancel and later decide to reactivate your subscription, you will not be eligible for a second 30-day trial. Do I need to be a subscriber to purchase an audiobook? No, you can purchase audiobooks from our catalog the same way you would purchase an eBook from Walmart eBooks. How many credits do I need to exchange for an audiobook? One credit = one audiobook. It’s that simple! No, you can purchase audiobooks from our catalogue the same way you would purchase an eBook from Kobo. What's the difference between a Walmart eBooks site account credit and an audiobook credit? Walmart eBooks account credits are different from audiobook credits. You cannot use Walmart eBooks account credits to redeem audiobooks. Exchange it for one audiobook of any price. If I top up my audiobook credit balance with three instant credits, will they count towards my monthly or yearly credits? No, the three instant audiobook credits simply top up your balance, so you can exchange them for more audiobooks than your subscription allows. Can I purchase three instant audiobook credits without a subscription? No, instant audiobook credits are only offered to audiobook subscribers to top up their credit balance. Without a subscription, you can purchase audiobooks directly from our catalog. For monthly subscription plans, we currently accept Visa, MasterCard and American Express. Can I use a gift card to purchase an audiobook? You can use a gift card to purchase an audiobook directly from our catalog. Gift cards cannot be used to cover the cost of audiobook subscriptions. Why am I required to add credit card information for a free trial? Free trials are only offered as part of a subscription plan. We require your credit card information to cover your recurring subscription charges once the free trial is complete. If you prefer not to subscribe with a credit card, you can visit a Walmart store and purchase a subscription card. When your subscription period ends, you can either subscribe online with a credit card or go back to your local Walmart to buy another subscription card. Why am I required to provide my mailing address for something that’s digital? Your mailing address is required as part of your billing information so that we can accurately charge sales tax based on where you live. Can I gift an audiobook credit or subscription to a friend? Yes. You can buy a Digital Audiobook Subscription Card for a 3, 6, or 12-month subscription from a Walmart store, and give that card as a gift. The recipient can then redeem their card online to start their subscription. Where can I view my audiobook purchase history? Sign in to the Walmart eBooks site and click My Account. Then, select Purchase History. 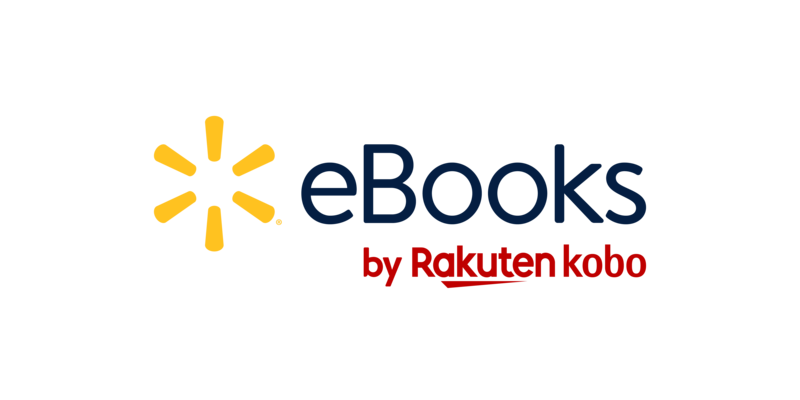 You’ll see a list of all of your Walmart eBooks purchases, including audiobooks purchased directly from our catalogue, or ones you exchanged credits for with a subscription. How do I listen to my audiobook? You can listen to your audiobook in the Walmart eBooks App through your Android or iOS device's speakers or with headphones. You can also pair your smartphone or tablet to a Bluetooth-enabled speaker (or similar model) in your home or car, or send it to your Mac computer or Apple TV using AirPlay, and so on. First, make sure you’ve downloaded your audiobook to your device. To download an audiobook, tap its cover in the Walmart eBooks App for Android or iOS. The cover will appear darker for a moment while the download process begins. When the cover returns to normal, you’ll see a Ready to Play notification, and can start listening while the rest of your audiobook downloads to your device. Tap the cover to instantly launch the player. Which devices can I listen to audiobooks on? Note: Audiobooks from Walmart eBooks can only be played on the Walmart eBooks App. I can’t buy anything in my Walmart eBooks App for iOS. Why not? Due to an agreement between Walmart eBooks and Apple, the Walmart eBooks App for iOS doesn’t include our store. If you use an iOS smartphone or tablet, you’ll need to purchase (or exchange a credit for) your audiobook on the Walmart eBooks site in your web browser. Once your transaction is complete, your audiobook will then appear in your Walmart eBooks App for iOS. Where can I find my audiobook after I’ve made a purchase? Once you’ve made your purchase, just open your Walmart eBooks app for Android or iOS while connected to Wi Fi. Your newly purchased audiobook will appear in your app. A note for iOS users: because the Walmart eBooks app for iOS doesn’t include our store, you’ll need to purchase (or exchange a credit for) your audiobook on the Walmart eBooks site in your web browser. Once your transaction is complete, your audiobook will then appear in your Walmart eBooks App for iOS. Can I listen to an audiobook on my laptop or desktop computer? No, audiobooks are only available in the Walmart eBooks App for Android or iOS smartphones or tablets. Do I need to wait for my audiobook to fully download before I can start listening? On your iOS smartphone or tablet, your audiobook downloads progressively, so you can start listening shortly after your download begins. On your Android smartphone or tablet, you'll need to wait for your audiobook to download fully before you can start listening. To download an audiobook, tap its cover in the Walmart eBooks App for Android or iOS. The cover will appear darker for a moment while the download process begins. When the cover returns to normal, you’ll see a Ready to Play notification, and can start listening while the rest of your audiobook downloads to your device. Tap the cover to instantly launch the player. Will listening to an audiobook use up my data plan? No. Audiobooks from Walmart eBooks are stored within your smartphone or tablet’s internal storage, not streamed over the air. You can even listen while offline. However, downloading an audiobook to your device may consume data. We recommend downloading over Wi-Fi to avoid incurring charges on your mobile data plan.